The last “book about university” that I read was Canadian author Lynn Coady’s Mean Boy. It was set on a fictional campus modeled on Mount Allison University in Sackville, New Brunswick and followed protagonist Larry Campbell in his struggles to fit into a literary and academic community. Larry was not exactly my favorite character, and while there were a lot of moments where I felt, “Oh yeah, that part of university really seems right,” there were others that seemed far away and foreign. University books seem difficult to get right, if only because the range of university experience is so vast that a story that one reader might react to can be far away from what will resonate with another reader. So I guess Jeffrey Eugenides’ The Marriage Plot is my university book. It begins on the day of protagonist Madeleine Hanna ‘s graduation from Brown University, a day that includes a visit from her parents, a visit to the hospital, and reconciliations, break-ups, and unexpected events. From there, Eugenides works both backwards and forwards to examine Madeleine’s four years at Brown, and the year off that follows after. 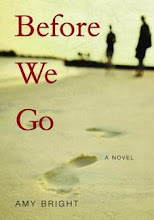 In this telling, Eugenides introduces and explores two other important characters, who themselves enter and exit Madeleine’s life. These include Leonard Bankhead, Madeleine’s manic-depressive boyfriend and Mitchell Grammaticus, Madeleine’s religious-studies friend who she maintains a complicated on and off friendship with over the course of the novel. The novel takes place in the early 1980s, and although it is set primarily in New England, Eugenides also follows one of his characters on a European adventure that concludes with a sojourn in India. Each character explores a different option after university. Madeleine moves with Leonard to Cape Cod, where he has received a position as a biology research assistant. Madeleine’s year off from school to follow her boyfriend gives her time to apply for English graduate programs, and to try to figure out where her life is going to take her next. Meanwhile, Leonard falls into a deep depression, and its subtleties are carefully detailed by Eugenides. Mitchell travels to Europe with his roommate, and although the trip gets off to a rocky start (Mitchell has nowhere to stay in Paris when Larry goes off with his girlfriend, and has to share a hotel room [and a bed] with a stranger), it eventually takes him to India where he volunteers with Mother Theresa. Eugenides seems aware of the options that exist for his graduates, and he explores the repercussions that the decisions create. Meanwhile, their lives at university are currently related through backstory, which creates slight nostalgia for the safe place (largely free of decision making) that these characters have now left behind. The reader is vaulted back and forth between the two, watching the three characters begin to navigate and create their own lives. Eugenides has a way of writing familiar experiences in a way that really is new, but recognizable. I couldn’t help thinking that the way he does it is in the way a reader might say it in their head, but not out loud (and not so well constructed, or beautiful, or meaningful). There are so many places I found myself saying, “That. It’s like that.” Eugenides gets it right in so many ways. I read this book in two days, and that was even taking my time with it and trying to make the reading go slowly. It seems to combine the feeling of the epic that was present in Middlesex with the mundane and everyday that characterized Virgin Suicides. 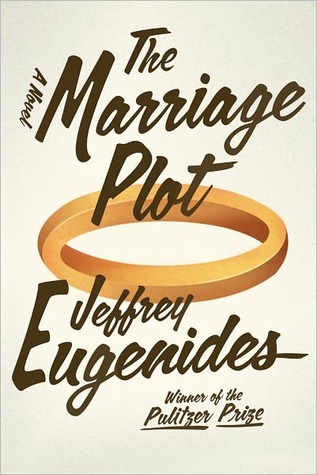 The Marriage Plot takes the place of “favorite Eugenides book!” and I’ve flagged more passages and quotations in this book than any other that I’ve read recently. 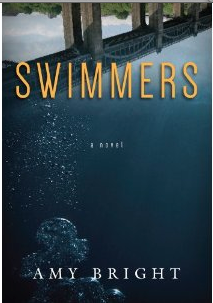 This was a great review of a great book by one of my favourite authors. You really managed to point out the many hilarious and tragic elements of being a post-English graduate student in the wide world of non-English majors! I loved it! Hilarious and tragic is a REALLY good way to put it! I'm glad you liked the review!